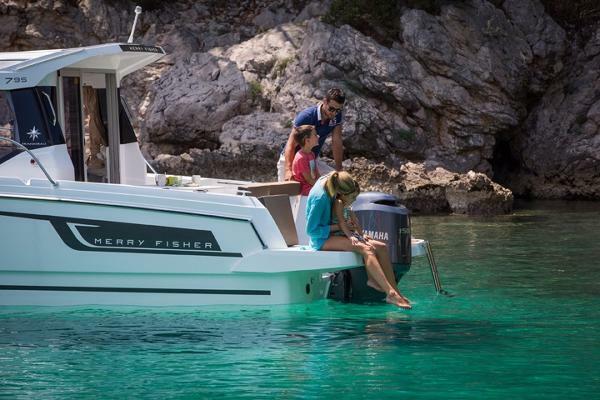 2016 Jeanneau Merry Fisher 795 powered by a Yamaha F175 outboard engine Originally supplied new by BHG Marine in April 2016. One owner from new with a full service history. Dry stacked from new, never kept afloat and never antifouled. The owner is now upgrading to a larger Jeanneau. 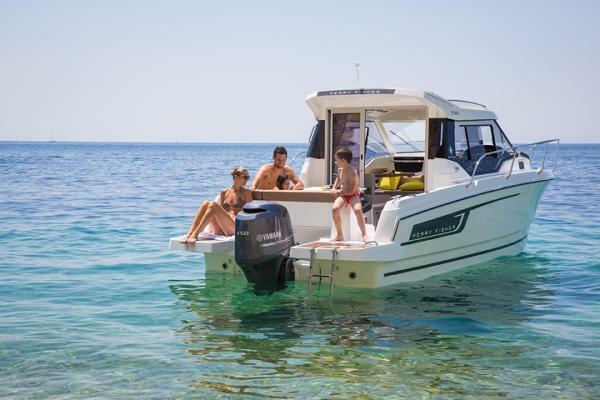 As always, specification is very important on these boats and finding one with the right options is crucial. 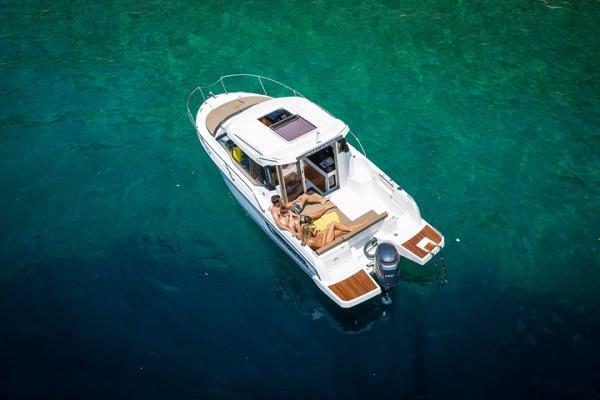 This boat has a very high specification, with all of the optional being factory fitted when new. Yamaha 175hp 4-stroke outboard engine with fuel injection (a worthwhile upgrade over the standard 150hp engine)Yamaha Y-COP immobiliserYamaha digital instruments with fuel computerPremiere Pack - sliding opening roof, windscreen wipers, aft seat cushions, opening side windowsElectronics Pack - Lowrance GPS plotter with transducerMooring kitAnchoring kitU-shaped cockpit saloon with table and sundeck conversionShore power with mains power sockets and battery charger systemLuxury galley with gas hob and sinkFridge with additional battery and split charging systemDouble berth conversion in the cabin and saloonMarine toilet with holding tankWheelhouse interior curtainsElectric anchor windlassBow thruster and additional batteryIcom IC-M323 DSC VHF radio Complete with all original paperwork, handbooks and VAT invoice. Trade in and finance available on request. Boat due in on the 4th April, photos and further details to follow. Register your interest now.